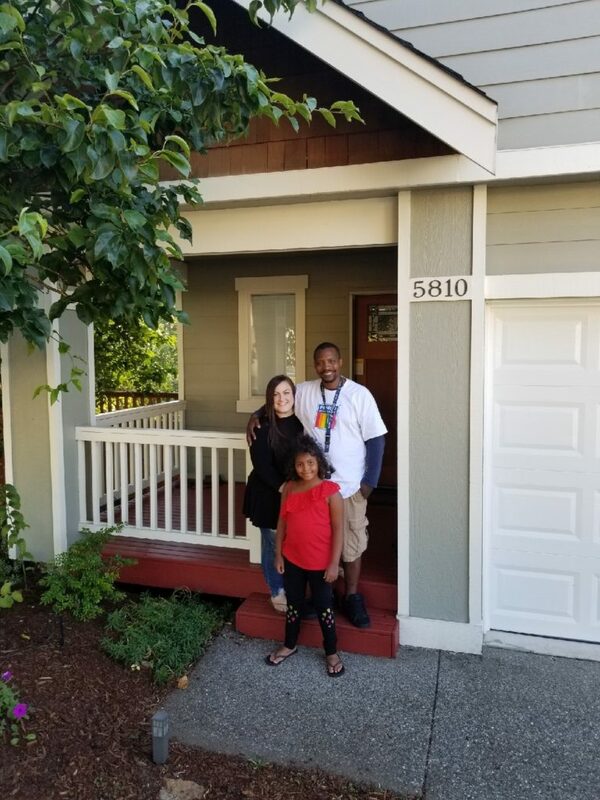 Agent Caitlin Klosterman and her family in front of their new home. Much like our summer weather, Western Washington’s real estate market is hot — something agent Caitlin Klosterman knows all too well. One home she bid on had 11 other competing offers! Luckily for Caitlin and her husband, Akeem, the third time’s a charm. They close on their new home in Marysville later this month. Older homes are filled with charm, but they pose insurance challenges. Most preferred insurance companies require older homes to have updated wiring, plumbing, heating, and a roof that’s less than 20 years old. Quality and location of the responding fire department. Homes that are located near permanently staffed fire departments usually cost less to insure. Caitlin also recommends installing protective devices in your home, like fire extinguishers and smoke detectors, to help maximize the discounts on your insurance policy. If the property is located in an HOA. Living in a homeowners association can have pros and cons. From an insurance standpoint, if anybody is injured on the association’s property—like a sidewalk or playground—the association and its homeowners can be held liable. If you move into a homeowners association, Caitlin recommends adding “loss assessment” coverage to your policy. This protects you for only a few dollars a year. Although all Pacific Northwest homeowners have a flooding risk, mortgage companies require flood insurance on homes in high-risk areas. Flood insurance on these homes can be expensive. It’s important to factor this cost into your budget so you’re not caught off-guard after you make an offer. The home buying process can be stressful, but we’re here to make the insurance side of things as easy as possible. If you have any questions about a home you may purchase, call us first. There is a whole team of people here to eagerly help you! Choosing a home is one of life’s biggest decisions. One of our insurance company partners, Travelers Insurance, offers a free tool to help you see beyond the paint and staging and get valuable information on your potential new home. If you’d like to run a free report, visit www.travelers.com/openhouse. I'm a third-generation insurance agent who joined the industry in 2009 as a marketing intern for Safeco Insurance. As our marketing director, I oversee client communications. It's my hope all our clients are informed about their insurance choices and policies.